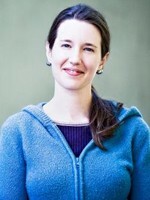 Kristin Cashore is the New York Times best-selling and award-winning author of two young adult novels, Graceling and Fire. Her debut novel, Graceling, won the 2009 Mythopoeic Fantasy Award, the SIBA Book Award and the Indies Choice Book Award. Graceling is also a Publishers Weekly, School Library Journal, and Amazon.com Best Book of the Year, an American Library Association Best Book for Young Adults and a finalist for the Andre Norton Award. Plus it made the Booklist's 2008 Top Ten First Novels for Youth, the 2009 Amelia Bloomer List, and the 2009 Indie Next Kid's List... and a few more! Matthew Peterson: My next guest is Kristin Cashore, author of two young adult novels, Graceling and Fire. Her debut novel Graceling has won a ton of awards including the 2009 Mythopoeic Fantasy Award, the SIBA Book Award. Graceling is also Publishers’ Weekly, School Library Journal and Amazon.com best book of the year, and American Library Association best book for young adults and a finalist for the Andre Norton Award, and the Indies Choice Book award, and the Book List 2008 top 10 first novels for youth and 2009 Amelia Bloomer List and the 2009 Indie Next Kids list and probably a few more that I’m missing. That’s a lot of awards, Kristin. Thanks for being on the show today. Kristin Cashore: Thank you so much for having me. Matthew Peterson: Did you ever have any idea that your books would take off so quickly? Kristin Cashore: Oh my goodness, no. I mean I had the dream of getting published and that was basically it. I never imagined that it would, first of all be published so well by my publisher with such a beautiful cover and with so much support. They really got the buzz building for the book. They did such a nice job and then to be receiving awards, I mean, it’s a little bit overwhelming. I’m still kind of trying to get used to it. Matthew Peterson: Yeah, well for your first novel that is very impressive. Matthew Peterson: I actually heard about your book from another author friend. And she said, “This is one you must read.” And so I looked it up. So tell us a little bit about Graceling, and then we’ll talk a little bit about Fire. Kristin Cashore: Okay, well, Graceling is a fantasy novel. It’s a little bit, I guess you would say, maybe mediaeval-ish in feel. It takes place in a land of seven kingdoms where very occasionally a person is born with a special power, which is called a grace. And it can be as extreme as the grace of fighting or killing, which is the grace that my protagonist has. Or it can be as, kind of silly as, the grace of creating a perfect pastry, or it can be useless, like the grace of talking backwards without thinking. So really any skill that there is, you take its extreme form, it can exist as a grace. And the people who have these graces are calling “gracelings”. And the way that they’re differentiated from other people is that their eyes are two different colors. Matthew Peterson: So this is young adult. How old are your main characters? Kristin Cashore: They’re in their late teens. Matthew Peterson: Okay, their late teens. Kristin Cashore: Yeah, around 18. Matthew Peterson: So your main character, Katsa. Matthew Peterson: What is her great gift? Kristin Cashore: She has the ability to just fight and kill to an extraordinary degree. And she discovered it when she was about 8 years old. Everyone knew she was a Graceling because she had those two different colored eyes. But sometimes it takes a few years for the grace to manifest or for the person to discover it. And she was threatened by a distant cousin who was a little bit of a pervert and was kind of hitting on her in an inappropriate manner and she struck out to defend herself from him and accidentally killed him. Matthew Peterson: She killed him? Oh, man! Kristin Cashore: [laughs] She’s not really the boyfriend type, she’s really a lone wolf. So, well, like you said it’s the romance episode, so obviously that changes in her life, when a particular person comes along. Matthew Peterson: How does she find the love of her life without killing him when they kiss? Matthew Peterson: Without telling too much . . .
Kristin Cashore: She doesn’t have a poisonous touch or anything like that, you know. She learns control. After that first uncontrolled episode, she realizes, “I have to learn to control this.” But the guy that she falls for also is a Graceling and he is also an incredible fighter and is basically the first person she’s ever met in her life that she can fight, one-on-one. And she’s better than he is at fighting, but she’s used to practicing with 8 or 10 men who are all wearing armor and now finally here’s a person she can really wrestle with and grapple with. Kristin Cashore: So, that’s kind of what sets off their friendship. Matthew Peterson: And I assume that continues on and they probably go on a quest or . . .
Kristin Cashore: Yes, there is a quest . . . I don’t want to give away any spoilers. It’s a book with a lot of surprises. So, I’m cautious about saying to much. Kristin Cashore: But there is a quest and there is a bad guy who needs to be, first of all discovered. There’s a crime that’s been committed and they can’t figure out who committed it. So, it’s a little bit of a complicated story. But there’s a lot of adventure and they kind of solve the crime together. Matthew Peterson: Solve the crime, okay. Now your book that just came out is Fire. Is that a sequel or is that a prequel? Kristin Cashore: Fire is sort of a prequel-ish companion book to Graceling. It takes place about 30 to 40 years before Graceling and there’s only one cross over character. And it takes place in a slightly different land to the east of the seven kingdoms. And it has its own new protagonist; her name is Fire. Matthew Peterson: Oh, okay. I noticed that it’s already gotten a lot of star reviews from places like Kirkus and the Horne Book and School Library Journal. Matthew Peterson: That is an exciting thing. And do you have another book coming out? Or are you writing another one? Kristin Cashore: I’m writing a third book. The third book is called Bitterblue. Readers of Graceling will know that Bitterblue is a character in Graceling. In Graceling, she’s ten years old. In Bitterblue she’s 16 years old. And she is the protagonist of the book and Katsa and Poe and other characters from Graceling are also in that story. Matthew Peterson: Oh, okay. That is exciting. I went to your website and I took a look and I noticed a lot of people saying, “Well, Bitterblue is cancelled”, but you had a change of publishers, didn’t you? Kristin Cashore: Yes I did. Matthew Peterson: Was that between book one and two? Kristin Cashore: That was between book one and two. My editor moved from Harcourt Children’s Books to Dial Books for Young Readers and I had to decide whether to go with her. And really there was no decision, I love Harcourt to pieces, but I have to go where my editor goes. Kristin Cashore: I think I would follow my editor to the moon. She’s so fabulous. So, I moved to Dial and Fire moved with me and Bitterblue will be published by Dial. Matthew Peterson: Is there any special thing you could tell us about Bitterblue? Kristin Cashore: Well, it’s tricky to talk about Bitterblue without revealing Graceling spoilers. As you might have caught on, I’m one of those people who really tries to avoid spoilers. Kristin Cashore: The thing about Bitterblue is both Katsa and Fire are young women with extraordinary, special powers that no one else has. Bitterblue is just a regular girl. She doesn’t have a grace, but she’s surrounded by extraordinary people and it’s her coming-of-age story, as they all are, they’re coming-of-age stories. But it’s her coming-of-age as a just a regular person who’s trying to sort out a very complicated and traumatic past and a very confusing present and just kind of become comfortable with herself as a person, even though she’s not extraordinary in the grace sense. Matthew Peterson: That’s excellent. I think we’ll all be looking forward to that and also to Fire. I really appreciate you being on the call today. I’ve been speaking with Kristin Cashore, author of Graceling, Fire, and Bitterblue, but of course, names of books change, so, you know . . . Thank you so much for being on the show. Kristin Cashore: Oh thank you so much, Matthew. It was fun. Matthew Peterson: Well, that's it for today. Check out www.TheAuthorHour.com to listen to the bonus questions that didn't make it onto the show. I'm interviewing 5 New York Times best-selling authors next week: Holly Black, Tony DiTerlizzi, Melissa Marr, Maggie Stiefvater, and Aprilynne Pike. See ya then.